Judge John T. Kelley dismisses the jury for lunch during the the trial of David 'DJ' Creato, Wednesday, May 24, 2017, at Camden County Superior Court in Camden, NJ. 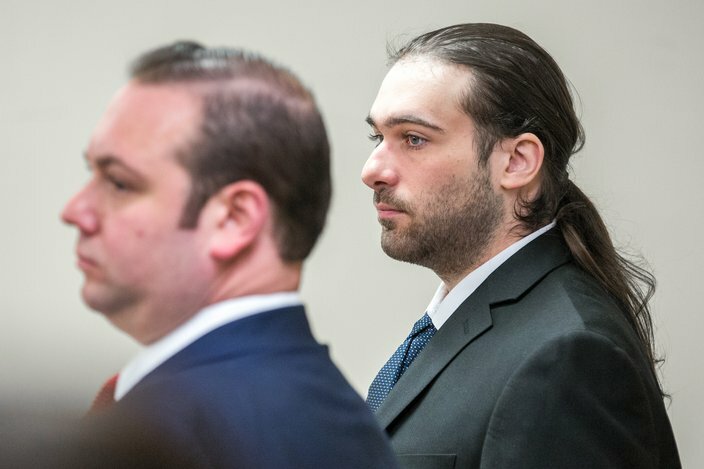 The jury in the David "DJ" Creato case reviewed two pieces of evidence on Wednesday, and will hear a third on Thursday. The panel had asked the judge to review the videotaped interrogation of Creato by Haddon Township police just a few hours after he reported his son, Brendan, missing; the 9-1-1 call that Creato made to report the toddler missing; and the secret recording made by the boy's mother, Samantha Denoto, of a conversation she had with Creato, her former boyfriend for seven years, about a month after the boy's death. There was no indication from the jury why it wanted to review the recordings. Creato's hour-long interview with Haddon Township police and the Camden County Prosecutor's Office was reviewed first. Transcripts of the conversations in the videotape were handed out to jurors. Most appeared to read along as authorities were heard talking to Creato. Haddon Township police, who knew the boy had been found dead, didn't tell Creato that initially. One local investigator tried several times to tell Creato things would go better if he told them everything. Creato insisted he had. The young father repeatedly shouted "no" and sobbed when told his son was dead. He asked Det. Michael Rhoads what had happened and if his son had drowned. "That's what we're trying to find out," responded Rhoads, the case's lead investigator. While Creato handed over his cellphone and answered every question, he is heard misleading detectives about when he had last visited Cooper River Park and where he went that visit. He told investigators it had been about a week and he did not go near the site where the toddler's body was found. But subsequent investigations showed he had gone to the park – 15 yards away from the crime scene – just two days earlier, accompanied by his then-girlfriend Julia "Julie" Stensky. 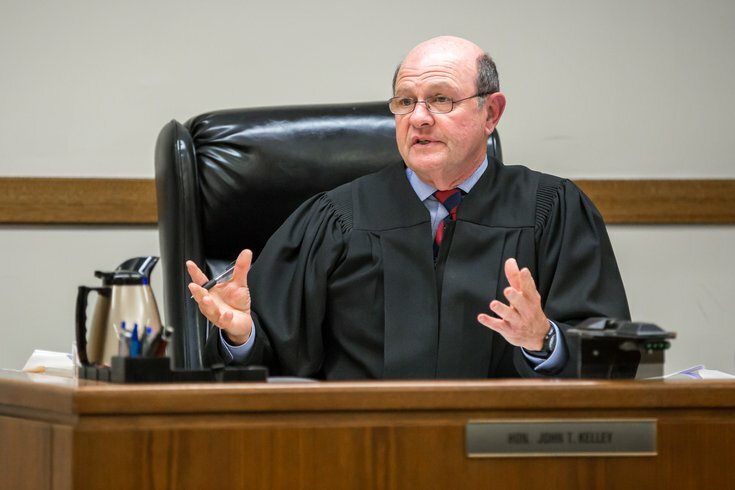 Next, the jury reheard the audio recording of Creato's 9-1-1 call, where he is heard suggesting his son may have opened their apartment door and "wandered off." On Thursday morning, the jurors will listen to an hour-long-plus recording between Creato and Denoto. Creato, 23, is accused of killing his son to preserve a faltering relationship with his teenage girlfriend. David 'DJ' Creato, right, and his attorney Richard J. Fuschino Jr. listen as Judge John T. Kelly sends jurors into the deliberation session, Wednesday, May 24, 2017, at Camden County Superior Court. He faces a first-degree murder charge, which carries a penalty of 30 years to life in prison, and a charge of second-degree child endangerment, which carries a maximum of 10 years. The body of the three-year-old boy was found around 9 a.m. on Oct. 13, 2015, during an extensive search by law enforcement and neighbors. The body was placed on a rock in a stream leading into the Cooper River at a site about a half a mile from the apartment father and son had shared in the Westmont section of Haddon Township. The start of deliberations on Wednesday were delayed due to security delays resulting from an order to increase the sensitivity of screening machines at the entrance to the courthouse. Lawyers said that order came from Deborah Silverman Katz, the administrative judge in Camden County Superior Court. Neither she, nor Sheriff Gilbert “Whip” Wilson, whose personnel oversee the security of the court, responded for a request for comment. It is unclear what prompted the change to the screening machines, which began about two weeks ago. The entry line, which snaked around the courthouse on Wednesday morning, took 25 minutes to clear. The machines are so sensitive now that a metal button can set them off, requiring just about all courthouse visitors to be scanned again manually by a deputy sheriff using a wand. A civilian court security employee at one point tried to enable jurors waiting in line to jump ahead, but a sheriff's deputy loudly told them to return to the end of the queue. Lawyers stuck in the line were heard calling court administrators about being late.